What do you do when you have another advertising contract but no trams left advert free to apply it? Well in Edinburgh Trams’ case you use the mock-up in use at Edinburgh Airport as the Tram Lounge! 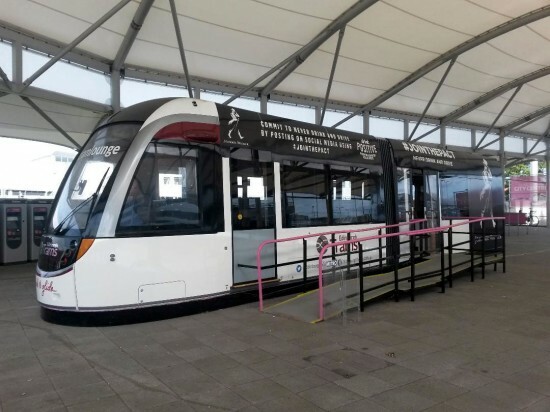 The Johnnie Walker #JointhePact campaign already have two operational trams with their adverts but they have now extended their contract to include the mock-up as well.